Home/Archive by Category" in the press"
The biggest sale event of the year is coming soon on 24th November, a day where the public tackle crowds and queues for their coveted Christmas shopping. With the dramatic reduction in prices across retailers, sales will be set to soar – which will have a direct effect on the delivery industry. An article in the Telegraph last November discussed how Black Friday doesn’t make people spend more money for Christmas, it just makes them spend earlier. This leads to a demand not only during January clearances and the week run-up to Christmas, but also way ahead in November. Most high street shops offer online shopping with the option to collect your items for free from your local branch. However, customers are far more likely to opt for the consumer-convenient home delivery option; and Black Friday poses as an even greater challenge to drivers: with the dramatic reduction of prices comes a huge influx of online orders, each expected to be delivered directly to homes across the nation within a maximum of 5 working days. Following last years’ reports on safety of delivery drivers during Black Friday, it’s important for retail managers to ensure that they have recruited enough driving staff to keep up with this high customer demand. This is even more important given that last year the media reported empty high street shops as the Black Friday race took place online – leaving town centres quiet, but online shops full of people making their Black Friday purchases! As Black Friday becomes more and more popular each year, it could be argued that November may replace December as being the peak trading month. Not only that, online spends of up to £20 billion have been predicted – highly qualified, professional drivers will be more vital than ever for the consumer economy to run efficiently. And although it is, of course, important to make sure customers are satisfied and receive their orders on time, it’s even more important to ensure that there is enough rotation amongst delivery staff to prevent fatigue behind the wheel. Not only are well rested drivers a crucial health and safety measurement for delivery staff and other road users, but businesses will find that their retail supply chain becomes a far more seamless operation. If you’re thinking about the logistics of your Black Friday sale, get in touch with our team of professionals today to discuss the benefits of taking on temporary driving staff during this busy season. Following France’s announcement at the beginning of July to ban all fossil fuel powered vehicles, our own government has made an announcement of their own. The breaking news from parliament is that the UK is banning petrol-diesel cars from 2040, with a new tax implemented on diesel drivers by 2020. We think it’s great news that the government are being proactive in making a change to the current air pollutions level in the UK. However, the Government should also ensure that individuals do not lose out in the run up to any tax increase, or bans, given that the UK Government also encouraged us all to go Diesel in the past. According to health experts and medical practitioners, air pollution has contributed to the loss of around 40,000 lives a year and it’s been concluded that poor air quality is now a public health emergency. Speaking to The Independent, Darren Baxter, a researcher with IPPR North referred to air pollution as the “tobacco of the 21st century.” Just as smoking was regulated by the government, it’ll be just as important to tackle air pollution. A briefing from the Department for Environment Food and Rural Affairs and Public Health England details that air pollution contributes to cardiovascular disease, lung cancer and respiratory disease. Amongst the positive reactions to this announcement there have been some criticisms. It’s been argued that action needs to be taken now in 2017 and not in twenty-three years time, especially as electric cars are already being manufactured. Citizens of the UK will continue to be at risk from harmful air pollution between now and 2040. Speaking to the Financial Times, Andy Palmer, chief executive at Aston Martin also criticised the ban and urged the Government to assist in the transition to electric technology to lessen the economic impact on the British car industry. Palmer went on to say that the target for electric car sales by 2040 is absurd due to the long distances that some drivers need to travel (this would certainly apply to many of us in the driving and haulage profession). Erik Fairbairn, founder and chief executive of electric car charging company PodPoint, predicts that up to 45m charging points will be needed for installation into most households by 2040. A lot of planning and changing will be need to reach such a vast goal. The talk of the petrol-diesel ban has mainly related to cars – but how will the new law affect the haulage industry specifically? Of course, logistics is extremely important as we live in a high demand world of online shopping and the promise of next day delivery. An article from the BBC discusses how not all vehicle owners will switch to electric replacements. With regards to heavy goods and public service vehicle owners, they may use natural gas or hydrogen powered modules. The use of a hydrogen powered vehicle could potentially have the capacity to match the same range as a petrol-diesel vehicle. It is non-polluting, quieter and three times more efficient than conventional engines. However, it has been confirmed that HGVs are excluded from the ban, but there are plans to include them beyond that. This could answer some questions for HGV drivers in the logistics industry who’ve been unsure of the implications of this new plan. 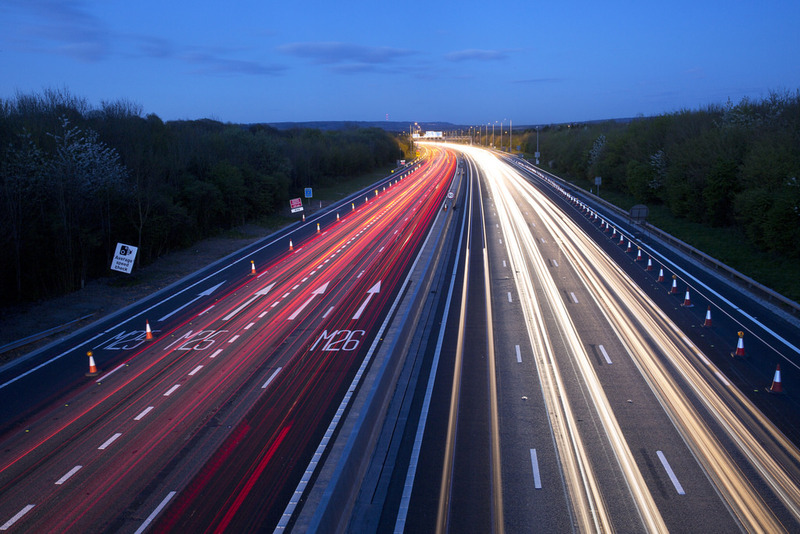 The Government intend to devise an incentive by making changes to the HGV Road User Levy to help reduce carbon emissions and increase air quality. Overall there have been mixed responses to this recent news from the Government but we certainly support it and we’re always on the lookout for the latest technology and ways we can contribute to helping our environment. We look forward to seeing how technology develops to meet the goals of eventually reducing the unhealthy effects of air pollution. As the practical driving test celebrates its 80th birthday, the DVSA wants to change the format of the current test to better assess learner drivers on their ability to drive independently on busy, modern roads; rather than focussing on ‘manufactured manoeuvres’ such as a driver’s ability to turn the car around in a back street. As yet there’s no change announced for to those preparing for their HGV license, although no doubt examiners will be on the watch to see how successful the new driving test would be before deciding to roll it out to other classes. One of the changes include ‘show me’ and ‘tell me’ questions that will be asked while the vehicle is in use on the road to access the driver’s ability to operate the vehicle’s controls safely while driving. The trials will also look at increasing the duration of independent driving from ten minutes to twenty minutes; with the added use of a satellite navigation system (operated by the test instructor) that will be used during the trial test. There will also be a change made to some of the test’s classic manoeuvres. Instead of being asked to turn in the road, reverse around a corner or reverse park (either into a parking bay, or parallel parking at the side of the road) the DVSA is now asking for drivers to “Drive into and reverse out of a parking bay, pull up on the right, reverse, and rejoin the traffic or reverse parking (either into a parking bay, or parallel parking at the side of the road)”. There is also some good news for those trialling the test. For the learner drivers that take part in the trial driving test, if they are successful they will obtain a full UK driving license as the test being used in the research is an actual driving licence acquisition test. The changes are designed to help new drivers and make them better prepared for modern roads and modern driving conditions. As a further element to this, the DVSA will be introducing the use of satnav during the test and excluding manoeuvres that new drivers will rarely use like the ‘3 point turn in the road’. This will leave more time for learners to show their abilities of driving independently and confidently – skills that will be essential to them when they pass their test. So are you in favour of ditching the dreaded ‘turn in the road’ for more independent driving during a test? Let us know in the comments! Drivers Direct has been appointed as a corporate member of the Chartered Institute of Logistics & Transport (CILT). In a prestigious ceremony, more than 100 representatives from 57 companies gathered at the Kettering Park Hotel to receive their commemorative plaque for 2015-2016. In a separate announcement, Gethin Roberts, founder and managing director of Drivers Direct, was appointed as a Fellow of the Chartered Institute of Logistics & Transport. The appointments are in recognition of the role that Drivers Direct, and the recently launched logistics division, plays in the industry. The event included members from across the profession, including those from the financial sector, leading universities and the biggest names in logistics and transport.